We know that even an hour of downtime can mean lost dollars for your business. That’s why we make every effort to help you find the Parker hydraulic components Riverside CA you need right when you need them. We stock over 3,000 different components in standard and metric sizes, but if you need a special order part, like an unusual hose gauge or a rare motor component, we will help you get that too. We can place orders with Parker and with other quality name brands. We can even machine custom replacement parts for you, and then install them onsite using our 24-hour field service. Parker hydraulic components Riverside CA are some of the finest on the market today. Because of Parker’s commitment to excellence, this 100-year-old company is constantly improving on its designs and turning out new and improved products. For example, Parker’s O-Ring Division recently perfected a new material with implications far beyond hydraulic hose connections and fittings. The material is strong and sterile enough to be used for sealing vials containing medical implants. This is just one of the many examples of how the power of Parker innovation is changing the world. 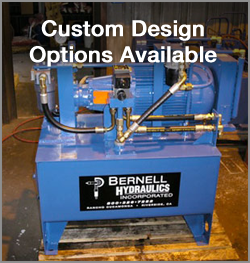 Buy Parker components from Bernell Hydraulics and let Parker change your hydraulic system’s performance too.